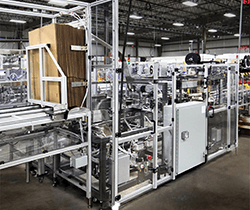 Automatic packaging equipment produces products at a very high speed. 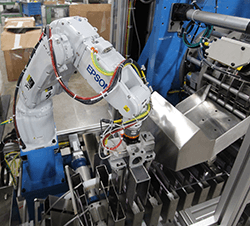 Automated packaging machines make most consumer packaged goods possible. 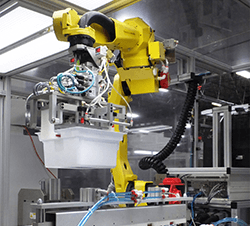 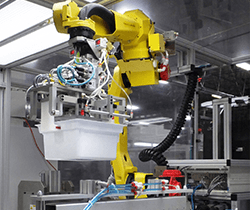 AGR is experienced with automated packaging equipment and complex product handling, and is fully equipped to provide assembly and test automated packaging systems and equipment for products involving multiple parts and processes. 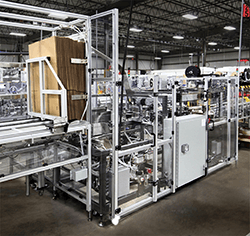 We can design entire automated packaging machines to fulfill your requirements, or integrate multiple packaging systems to enable you to package multiple product parts in a single production line. We can also design and build automated packaging operations machines for high-speed parts feeding, inspection, and loading.